The Early Learning Backpacks are fun yet educational activity kits, jam-packed with challenging activities for preschoolers. Containing a 64-page workbook plus a sheet of reward stickers, 36 early learning cards & a certificate of achievement, these fun packs will encourage young children to learn & practise new skills. 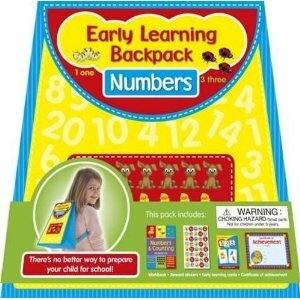 Each pack includes early learning ideas & teaching activities for kids that are easy for parents to teach kids at home.